Build a home with recycled materials? Some builders have done just that! Check out these innovative and creative homes built entirely from reclaimed and recycled materials. This just proves that one man’s junk is another man's treasured home. Let's start with one of the more conventional examples. The above structure looks brand-new, but its bricks are made of waste and rubble, ceramics, glass and clay. 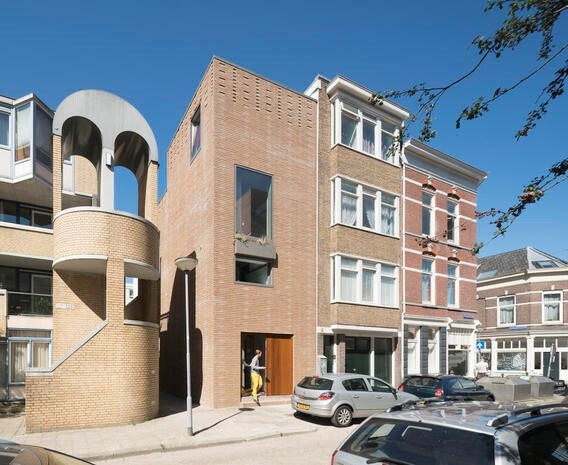 The building was designed by Architectuur Maken who utilized a Dutch company called StoneCycling who ground up waste products and formed them into bricks. 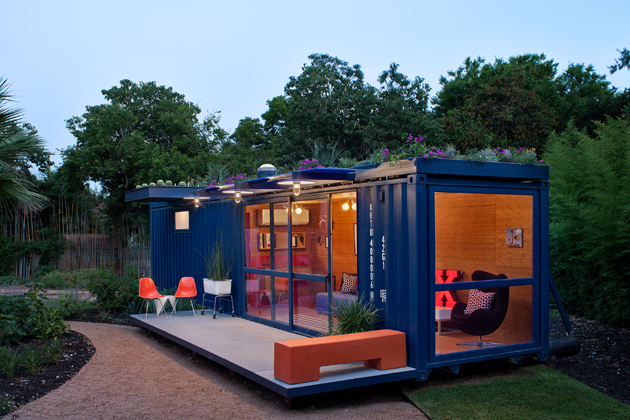 This house was designed by Poteet Architects for a client who wished to reuse a one-way shipping container. This eco-friendly structure sits on a foundation of recycled telephone poles and has a deck created from recycled soda bottles. These structures have a fairytale-like quality. 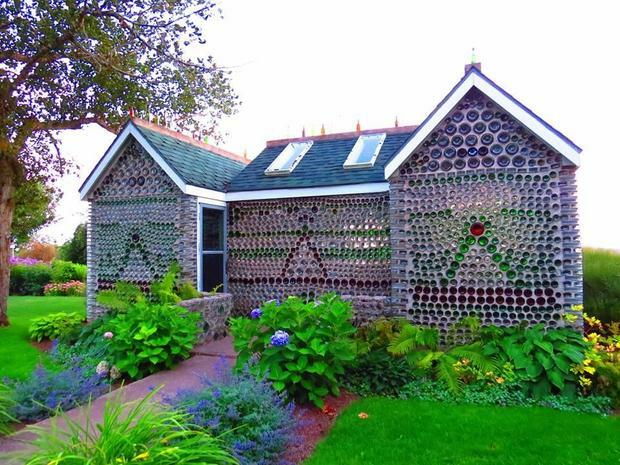 Built by Edouard Arsenault out of more than 25,000 recycled glass bottles gathered from around the community. The three buildings took almost four years to construct and are open to the public as a tourist attraction. The three structures consist of a Six-Gabled house, a tavern, and a chapel. Arsenault died in 1984 before completing the final details of the chapel. This entry was posted in Architecture, Construction and tagged Recycle Construction, Recycle Materials. Your preparation course for the Residential Contractor was great. I passed the first time with no problems. You Guys have been just great! I will be using you for all my continuing education as well. My education has been seamless. I’ve called several times and everyone I’ve spoken to has been nice and helpful.